The brainchild of Professor Heather McAlpine, the English department’s first annual Young Author’s Conference recently welcomed forty aspiring writers from the Chilliwack School District, who spent a day honing their skills. 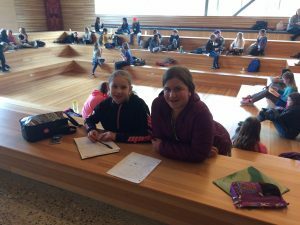 On April 17th, 2018, they convened at The Gathering Place on the UFV CEP campus. Working in groups, the children attended three morning workshops in rotation. 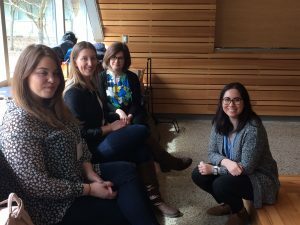 These workshops, developed and delivered by UFV students, aimed to empower the young writers to build on their passions by developing stronger writing techniques. “Poetic Forms,” led by Rebekah Bielefeld and Krista Alexander, introduced participants to different poetic writing techniques and processes, using paint chips and photographs to spark creativity. “Script Writing,” led by Alicia Tobin, had students working in small groups to script and perform dramatic scenes. And “Chapbook-Making,” led by Courtney Kienas, helped participants hand-sew small soft-cover books which they then filled with their own illustrated fairy tales. 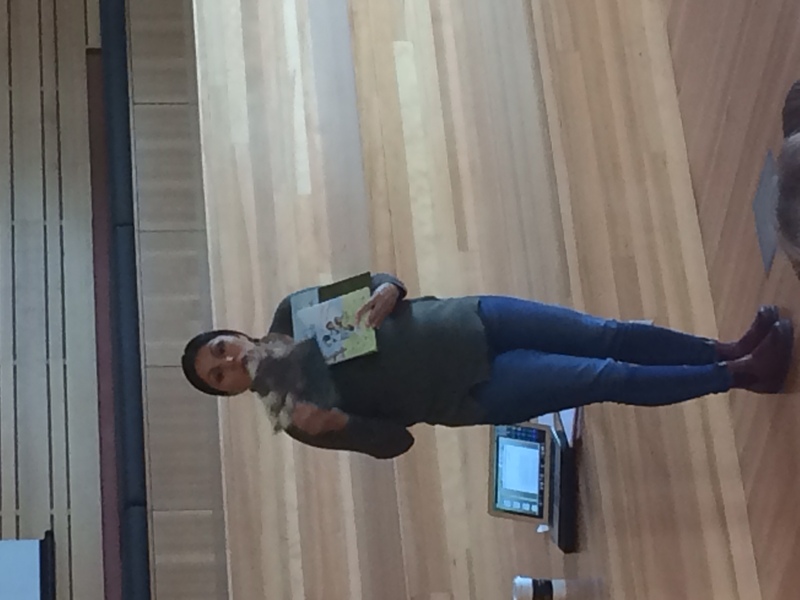 After fortifying themselves with a pizza lunch, the children settled in to listen to the keynote speaker, award-winning children’s author Nicola Campbell, who read from her book Grandpa’s Girls and talked about finding inspiration in her Indigenous heritage and the stories of her family. Nicola Campbell describing her writing process. is Nłe7kepmx, Syilx and Métis and is named after her home, BC’s Nicola Valley. 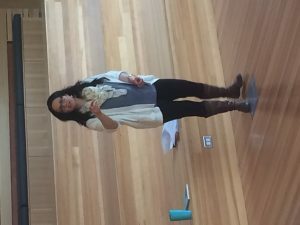 She has a BFA and a MFA in creative writing and is currently working towards a doctoral degree focusing on contemporary Indigenous Storytelling at UBC Okanagan in Kelowna, BC. She is the author of four childrens books. A Day with Yayah (2017), published by Tradewind Books. Grandpa’s Girls, was a finalist for the 2012 Christie Harris Illustrated Children’s Literature Prize. Shin-chi’s Canoe received the 2009 TD Canadian Children’s Literature Award and is on the 2009 USBBY Outstanding International Books List. Shin-chi’s Canoe is the sequel to Shi-shi-etko and was a finalist for the 2009 Marilyn Baillie Picture Book Award and a 2008 Governor Generals award for illustration. Shi-shi-etko was a finalist for the 2006 Ruth Schwartz Children’s Book Award, the 2006 TD Canadian Children’s Literature Award and the 2006 Marilyn Baillie Picture Book Award. It was the co-winner of the 2006 Anskohk Aboriginal Children’s Book of the Year Award. 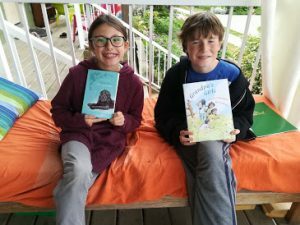 She also took questions from the young authors, who wanted to know everything from how she got her start as an author to how she recommends getting new ideas for stories, to what she was planning to write next. 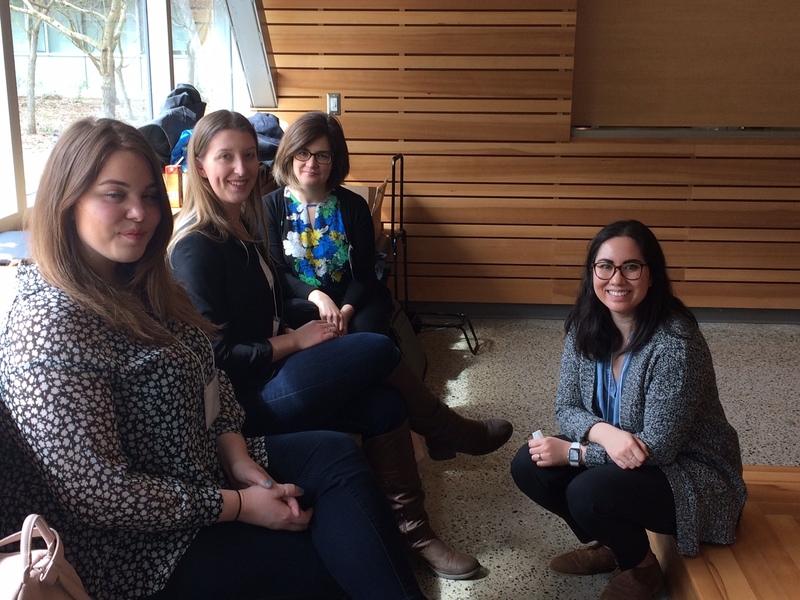 Rounding out the afternoon, Professor Michelle Superle led an interactive workshop on sensory imagery. 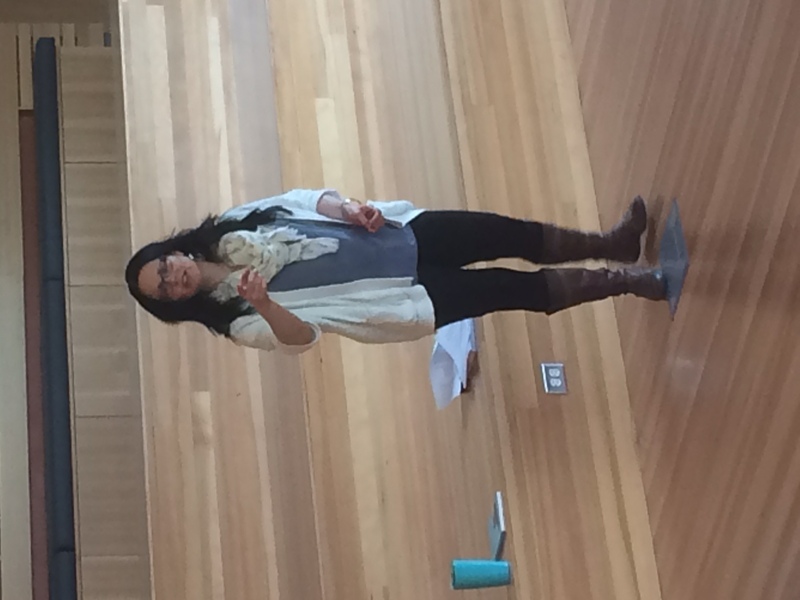 Michelle Superle facilitating her “Sensory Imagery” workshop. Friends and conference attendees Adison and Isaac with their swag. Eleven-year-old Isaac Jones Redekop’s response says it all: “After the conference I felt inspired to write more poems.” And that’s what it’s all about!